Sarah really did it up right with her Care Bear characters for Halloween. She kept it simple and made it fun. When you choose characters that make you smile, there is no way it can be considered “work”! Years ago, when my children were small, I faced a dilemma on the days leading up to Halloween. Do I sew, or do I campaign? Since I’ve always been a political activist, the even-numbered years’ October days were busy with phones calls and door knocking. While I believed in the cause, I have to acknowledge, I carried around a little guilt. Don’t worry. I have forgiven myself! Today I’m sharing pictures from two of my favorite costumes from the odd-numbered years. First, vintage 1983, when my husband and I wore the costumes. 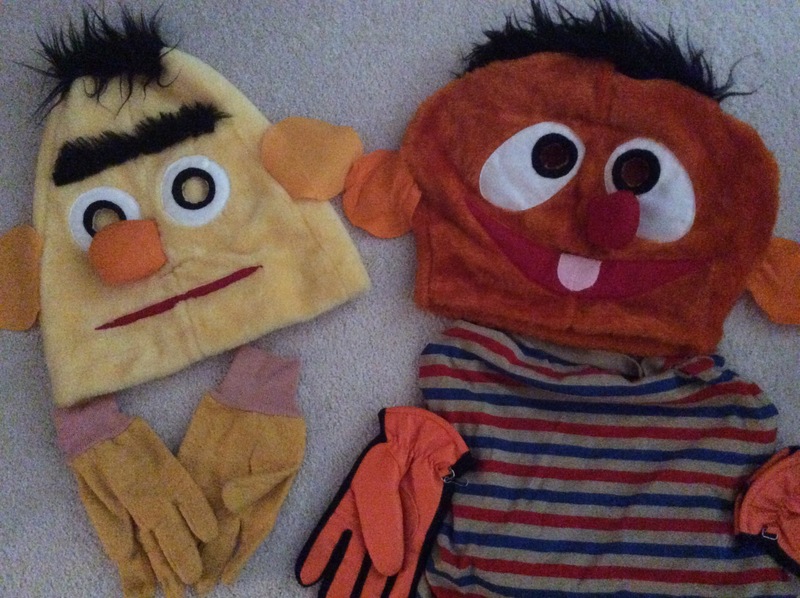 I am sorry I could not find a picture of us wearing Bert and Ernie, but you get the idea. With a very small child running around, they took a couple of sleepless nights to complete. I made these from pictures in a child’s book, with lots of drawing, cutting, sewing and sweat! They are lined with soft white fabric from an old sheet. Their eyes and mouths have holes. I added stripped shirts (Bert’s had a vertical stripe), jeans, tennis shoes, gloves and a playful attitude. You can do it too. 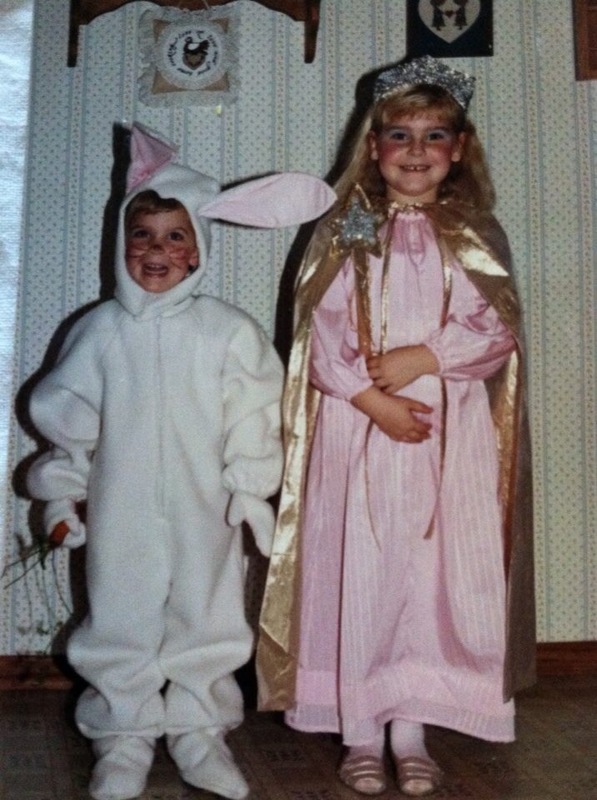 The second picture is of my favorite Halloween, vintage 1987. Son Josh got his costume from a pattern, and daughter Sarah got the innovation. Back in those days, there were no wands or crowns to buy. So, we got out the cardboard, lame, glue and glitter and made a craft project out of it together. These costumes brought many days of fun play for my kiddos. Classic and darling! Be creative. Look around you. Use what is available. Have fun. Don’t be afraid. Don’t be perfect! Buy a costume if time is short (or it’s just easier). No guilt. Don’t stay up all night on October 30 crafting and sewing. And finally, start in January before the election season gets going! The sun is shining and I’m off for a walk. So, until next time!